Try as I might, and much to PF’s amusement, I have never managed to avoid shedding an emotional tear or ten when faced with a pint-sized line-up of singing pumpkins, wise men or flowers at primary school events. I’m a soppy so-and-so, and being reminded that my kids are growing up way too fast kicks me viciously in the lacrimals each and every time. Needless to say, there is nothing delicate or feminine about an MM going into emotional melt-down. Unlike the delicate mums who roll their eyes towards the ceiling to subdue the solitary tear in each rimmelled eye, my face generally crumples up like a 2CV in a motorway pile-up. I then reach into my pocket for a tissue, realise that I used up the last one to clean my hands after I dripped diesel on my fingers at the petrol pump, and end up with a choice between my sleeve or a vintage shopping list. This year I was proud to get away with red eyes and a large lump in my throat. Thirteen years of primary school for my children had flashed by in what felt like the blink of an eye, and before I knew what had hit me, I was in the playground for the last junior school concert I would attend for one of my offspring. Wonder Woman had already set up residence in the front row with her groupies, and was impatiently drumming her perfect nails on her video recorder (which, needless to say, had both a fully charged battery and a memory card). I will miss seeing her and her immaculately groomed kids. For those of you who don’t know her, Wonder Woman is the misunderstood matriarch of the maternal mafia. She’s the one who lurks by the refreshments stand at the school fête to police the access to her organic carrot cake. When you battle up the hill to school on your battered old egg-beater of a bike, Wonder Woman is the one who overtakes you with a sadistic, self-satisfied smirk, comfortably perched on her electric broomstick bike as she glides up the hill like a sinister, modern-day version of Mary Poppins. And at the concert, Wonder Woman was the one who had attacked her kid with a pair of curling tongs, making her look like a crossbreed of Orphan Annie and a Crufts contestant. As I can see you wondering, here’s a hybrid of Orphan Annie and a Crufts contestant, courtesy of Little My and Smelly Dog. The show began. A member of staff started battering at her glockenspiel as if it had done her an injustice in an earlier life. The beaming music teacher gesticulated wildly in front of the class, and stabbed her finger energetically at Annie Cruft, who obligingly broke into a warbling, off-key rendition of a Polynesian lullaby. It took me a while to spot Little My in the sea of costumed children. My daughter was hiding in the back row, swaying imperceptibly in her Hawaiian dancer costume. My throat tightened as I glumly realised that this moment was soon to be archived in the family records under “Primary”. A wave of emotion welled up in me, but it was nipped in the bud by the wonderful sight of a miniature Speedy Gonzales. He was singing half-heartedly in the second row, gazing into oblivion from the shade of his sombrero as he absent-mindedly ferreted in his nostril in search of an afternoon snack. The show was fantastic – except for one vahiné who ended up in tears when her safety-pin let her (and her grass skirt) down mid-tamuré, it all went smoothly. The children had come a long way since the infant school gigs where baby squirrels seized up in a panic attack, dropped their papier-mâché nuts and ran off screaming into the arms of embarrassed mummy squirrels in the back row. The spectators were fun viewing, too. A small child danced in a happy trance in the no-mans land of trailing cables and maracas between the pupils and the parental posse. An adult tutted, turned and stared malevolently at the kid who was kicking the back of his seat. Beaming grandparents took photographs. A child loudly announced that he wanted to pee and stumbled his way along the row of seats with his embarrassed father, who tripped over the tripod of the man who was filming the show just when he’d made it through the jungle of legs. As the cast lined up to a standing parental ovation, babies wailed and grandmothers wiped away proud tears. 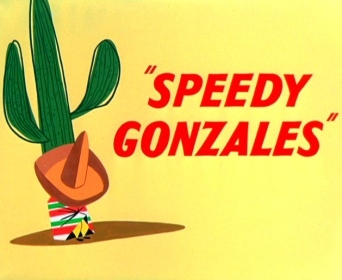 Speedy Gonzales wiped his finger on his trousers. My face tried to fold into maternal origami, and I swear I saw Wonder Woman rolling her mascara-ed eyes towards the ceiling to catch the tears. Annie Cruft waved enthusiastically to the audience with one hand and readjusted her knickers with the other as the curtain fell on my Primary parenting years. It was time for us to start a new chapter in life….. but only after one last slice of Wonder Woman’s organic carrot cake.